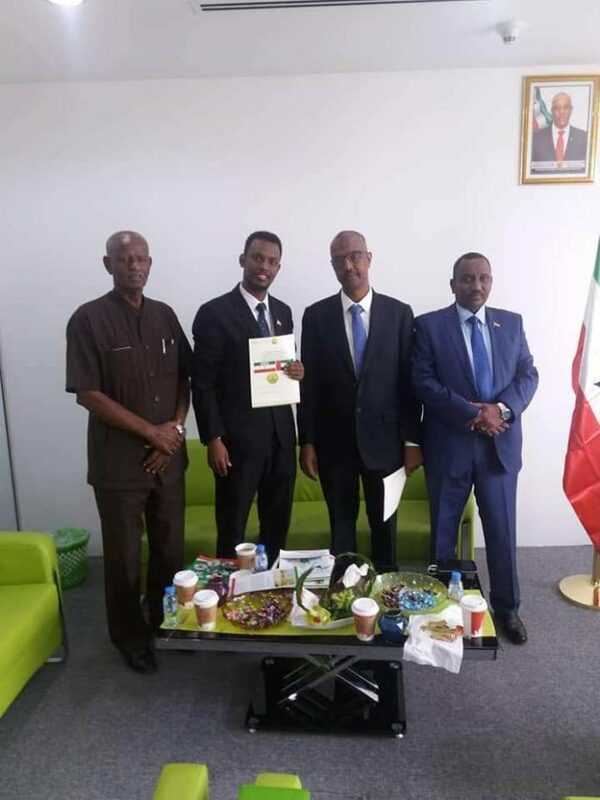 The new Somaliland representative to the United Arab Emirates, Mr, Munir Abdilahi Abusite officially assumed office from his predecessor, Mr. Hassan Yasin during a hand over ceremony held in Dubai yesterday. The ceremony which took place at SL’s UAE office saw the attendance of cabinet minister, MP’s, fire fighting chief and members of SL expat in the UAE. The new envoy was welcomed and was urged to the continuation of the work left behind by his predecessor. The former SL envoy was lauded for his accomplishment over the short stint that he served. 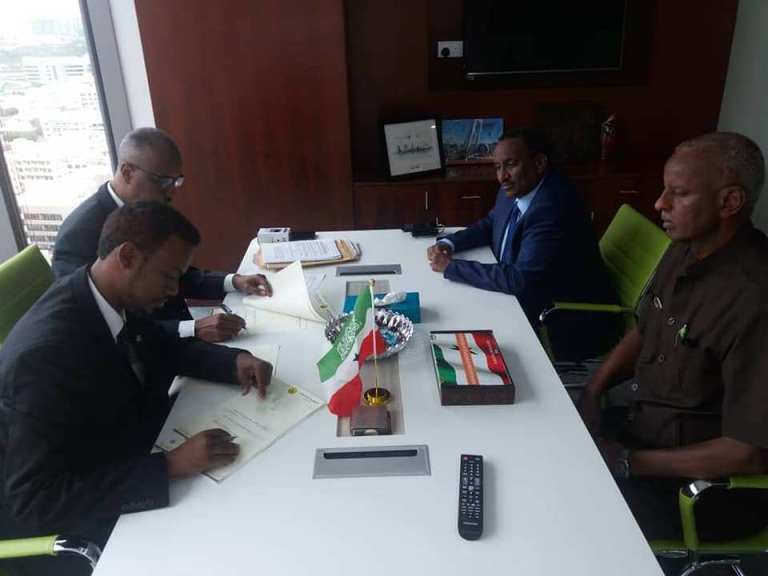 Both the new and the outgoing envoys have thanked the president by giving them the chance to serve for Somaliland.